To Tread miles or Treadmills…? Summertime always bring out the big debate about running outside in the nice weather or to stick with the trusty treadmill that has been there for you all winter. Both have their advantages,,, and if you are even thinking about this problem, it is a good thing because you’re doing something. The treadmill is nice because it’s convenient and it’s automatic. You can watch the news, look at your favorite gossip magazine, or listen to some Tony Robbins on your ipod. Treadmills can also be beneficial if you are working on pacing because you can set the pace and let it lead you. I’m more of a run outside type of guy. Pushing your own pace and facing the elements does more for confidence than you can imagine. Also, setting your own pace preps you for any races you might be doing during summer months. ALSO, you may get a little extra sunshine that seems to be endangered species around the Seattle area. Personally, I can’t do treadmills anymore. I have to run outside. It just feels better than the treadmill, in my opinion. Thanks for the comment Brandon. I feel the same way depending on the weather up here in Seattle. This time of year, I am always outside. 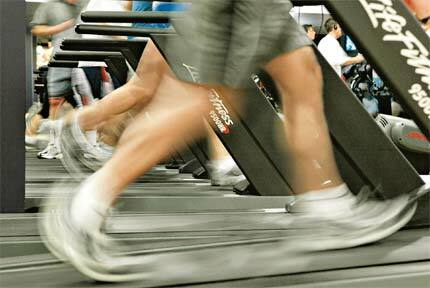 Don’t forget, when you walk on a treadmill you need to compensate for the lack of air resistance! Just as you have to counter the effects of gravity to walk “uphill”, the same is true when walking on a treadmill incline. The reason for this is that the 1% gradient elevation will compensate for the lack of wind resistance you would have normally encountered when walking or running on a flat surface outdoors. Since there is more energy required by your body to perform this extra work, the 1% incline of the treadmill deck more closely simulates the natural aspects of an outdoor workout. Really good point, kevin. First time to hear about it. Basically I’m outdoor runner and I like running on treadmill too. Both of them have their significant advantages. Before my friend bought a treadmill from lifespanfitness.com.au, we usually run outside together. Now most of time she just runs at home, sometime I tries to run on treadmill, it is not bad at all, it kinds of give you different experience with running outside. But In summer, above 30 degree, I prefer to run on treadmill.